We help people help their pets. 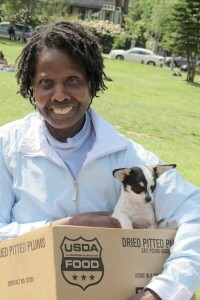 Paw Fund, in partnership with PALS (People & Animals Living Safely), East Bay SPCA Humane Advocate program, and People’s Park hosted the first-ever free pet vaccine clinic on May 24th, 2011 in People’s Park in Berkeley. People’s Park, owned by the University of California, has a rich and controversial history. For decades it has been a gathering place for homeless youth and a stop-over place for travelers heading up and down the West coast. Many of those living or visiting the park have pets, mostly dogs. However, it’s not always a peaceable kingdom or a healthy place for animals. With new pups born or arriving frequently, disease control often gets overlooked. So our decision to take our services directly to this community was met with enthusiasm by park management, and volunteers eagerly signed up to help. Our first historic day went off without a hitch. 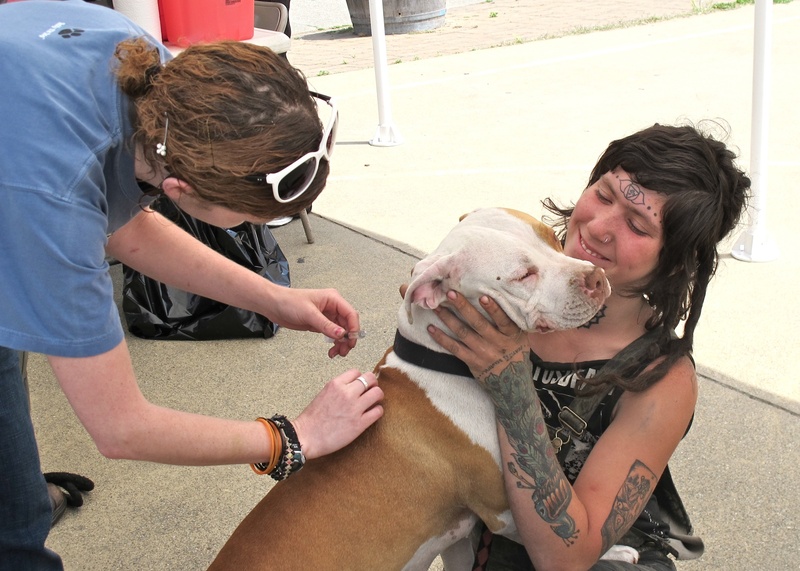 We served 47 animals and signed up 13 pets for spay and neuter surgery. We supplied food, leashes, collars, flea treatments, and nail trims. 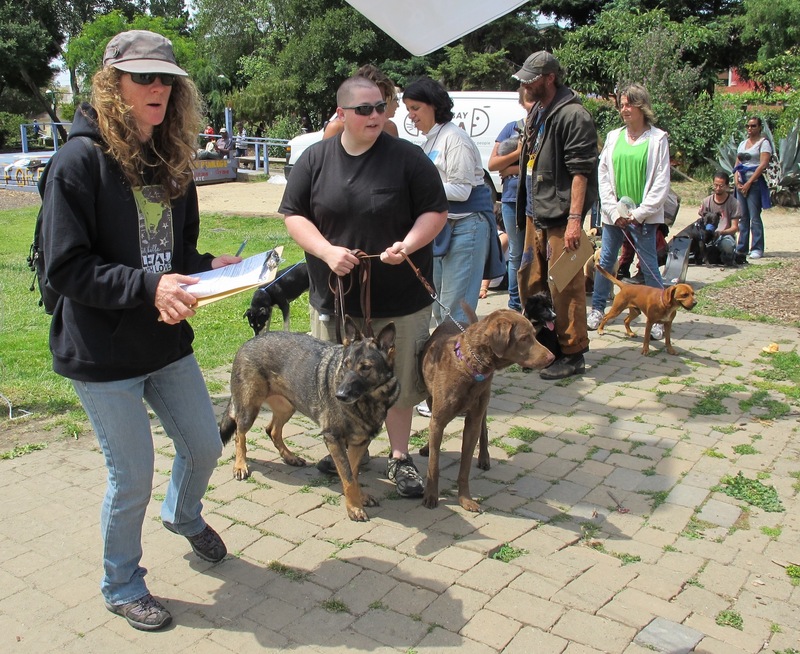 Best of all, we had a great opportunity to talk with people about the health and safety of their dogs and puppies. Since then, we’ve received calls from across the state and across country from people who want to create services like ours where they live. We hope that someday every community will have free and low-cost pet health care for everyone who needs it.